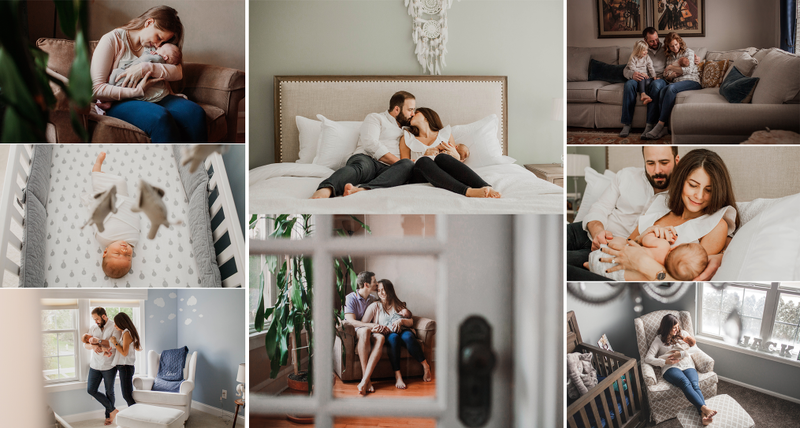 Lifestyle newborn sessions focus on the connection and love between the family and their new baby. They take place in the comfort of your own home, where your hearts feel most deeply rooted. Although these sessions include mostly candid shots of the family holding and interacting with baby, I do include some posing along with images of just baby. Collectively, these images form a chapter in your life story that reflects the beauty and happiness of new life. A chapter that will pass in a blink of an eye, but one that you will cherish forever. We offer various packages depending on your individual needs, each including a certain number of digital images, print and products. We offer only the highest quality products that will allow you to display your portraits in a variety of beautiful ways. Lifestyle sessions require a $99 travel fee and product collections start at $500. To inquiry about session details with Cleveland’s top rated newborn photographer, or to book a session, please complete a contact form.